The devastation that Hurricane Michael brought to the panhandle of Florida and Southern Georgia has been hard to put into words. People and communities saw their homes, churches, schools wiped out, literally overnight. In the aftermath of this natural disaster, another plight, one that continues to plague our country; the disenfranchisement of our poor. 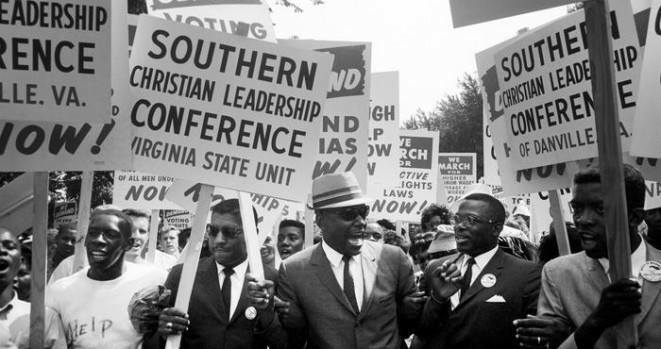 The SCLC began receiving calls, almost immediately to help coordinate the relief efforts, specifically to focus on helping the poor. Dr. Steele has committed to helping the area and bringing the branding and resources of the SCLC and extending our Poor People’s Campaign into this area for long term and immediate relief efforts. He will be reaching out to our corporate partners and chapters for a “all hands on deck” call to action to help with these efforts. Each of these initiatives will require volunteers, prayers and financial resources to help us ensure that poor will not be overlooked during this relief effort.